Offering free Wi-Fi a seasonal outdoor pool and a sauna the Comfort Inn Buckhead North provides business and leisure travelers with value-added amenities at an affordable price. 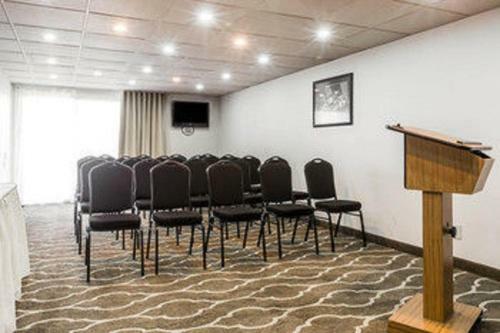 Guests at the four-story Comfort Inn enjoy complimentary daily newspapers and between April and September use of the seasonal outdoor pool and sun deck. Health-enhancing features also include a fitness room with a sauna. Road warriors appreciate free local calling and a business center providing access to fax and copying services. The hotel provides free high-speed internet access both wired and wireless. The 80 interior-corridor suites feature balconies cable TVs and refreshment centers with coffeemakers microwaves and mini-fridges. Non-smoking rooms are available. Parking is free. The Comfort Inn is located less than two miles north of Atlanta's trendy Buckhead district and is about 10 minutes from Emory University Georgia State University and the Georgia Aquarium. Venues that host major sports and entertainment events including the Turner Field ballpark Philips Arena and the Georgia World Congress Center are all about 20 minutes away. 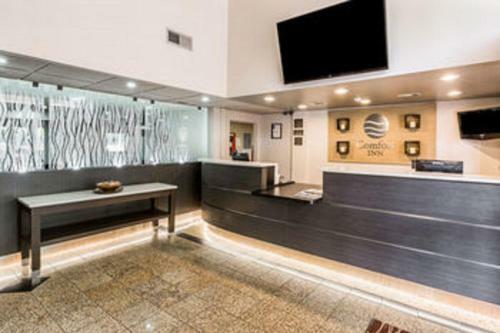 The hotel is within three miles or less of local businesses such as Cox Communications Mirant Corporation Amtico International and Cingular Wireless. The Dunwoody Station MARTA stop is only two miles away and Hartsfield-Jackson Atlanta International Airport is less than 25 miles from the hotel. Add Comfort Inn Sandy Springs to your free online travel itinerary.